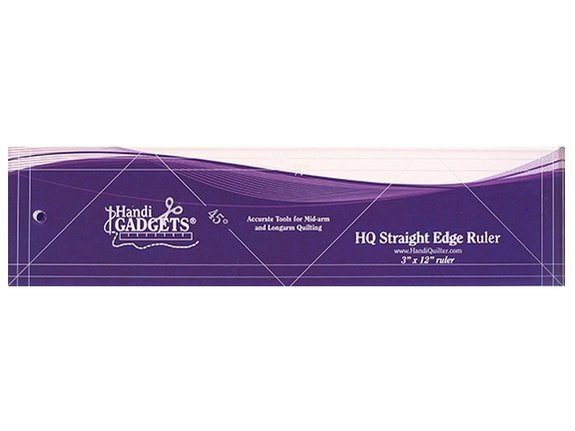 Home > RULERS > HQ STRAIGHT EDGE RULER 3" X 12"
HQ STRAIGHT EDGE RULER 3" X 12"
Made from .25-inch thick quality acrylic. This 3″x12″ ruler is for straight edge quilting stitch in the ditch diagonal lines etc. Use with the HQ Ruler Base.